After some readjustments we got the log on to the ground, happy days. 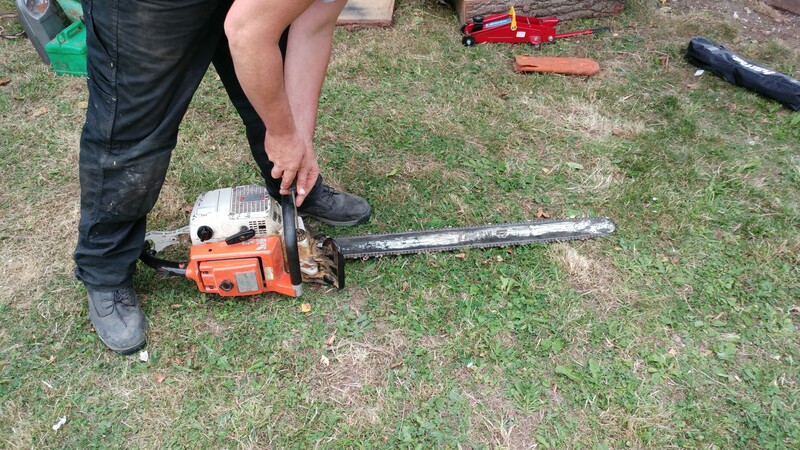 Then out came the Chain Saw ! Will post updates of the log/bench on it journey to being installed next week ! ← Luton Millennium Green #pocketpark Bench Work !